These cuboid needles are slick enough for knitting smoothly but are not as slippery as round metal needles, saving you the effort to hold the silky yarns tight. "These needles are a joy to work with. The shape is great. I bought a circular set for another project and enjoyed them so much that I wanted to get a full set." 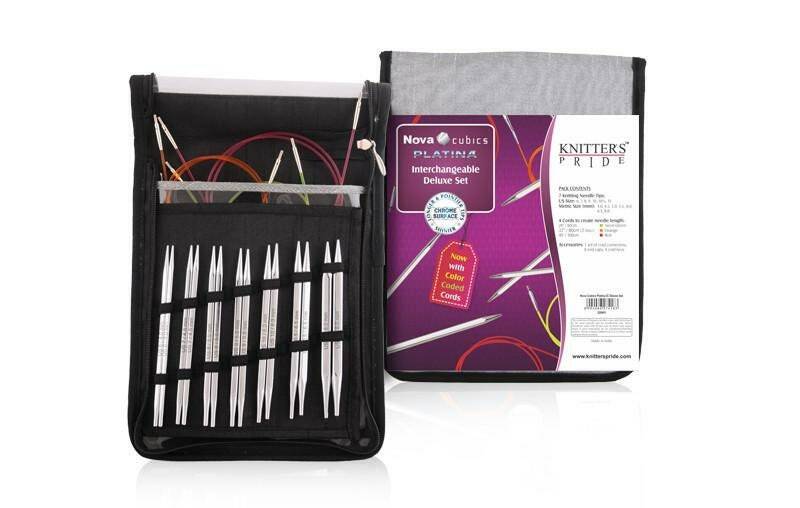 Packed in a black and grey fabric case with see-through front flap, for secure storage of needles. fabric case with see through vinyl.